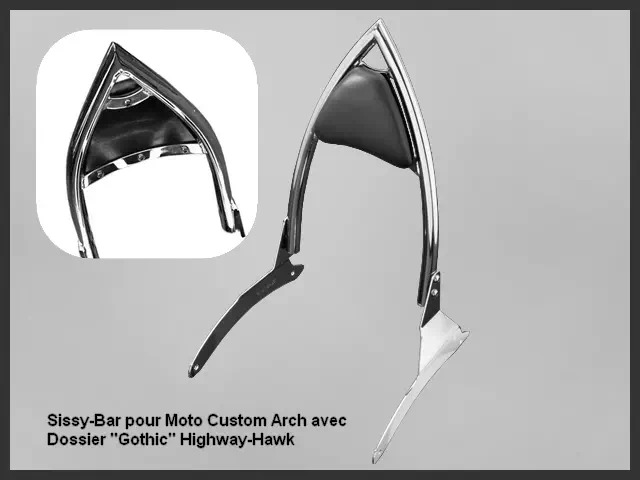 Sissy-Bar Moto Custom Yamaha XV 1900 A Midnight Star Arch Highway-Hawk Chrome avec Dossier Gothic Noir. 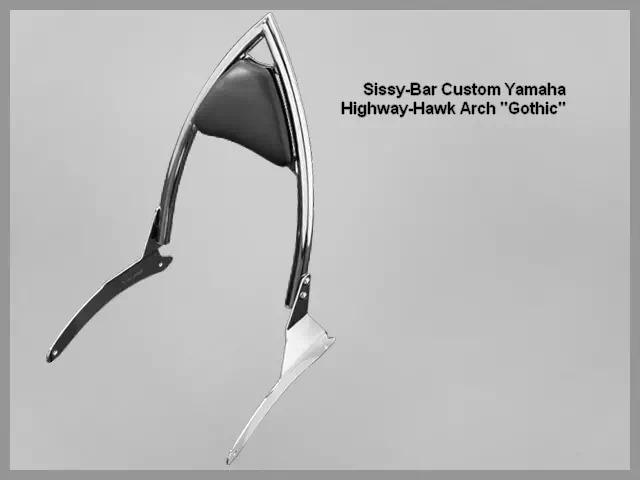 Sissybar Moto Custom Yamaha - Sissybar Yamaha Custom Highway-Hawk - Sissy-Bar Custom - Couleur : Chrome. 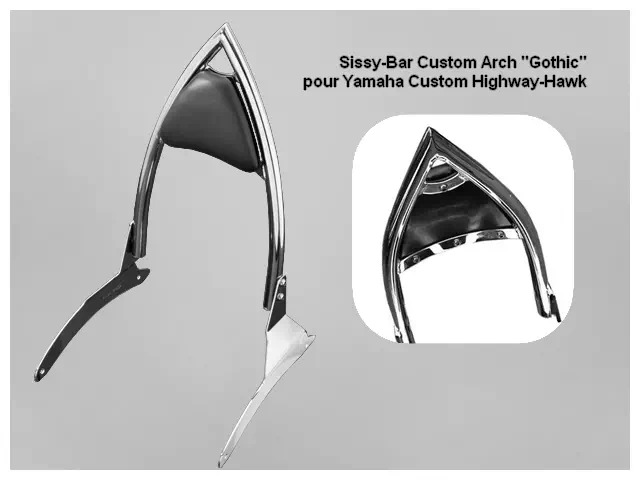 Sissy-Bar Arch pour Moto Custom Yamaha XV 1900 A Midnight Star* : Yamaha XV 1900 A Midnight Star, Yamaha XV 1900 Roadliner Midnight/S. 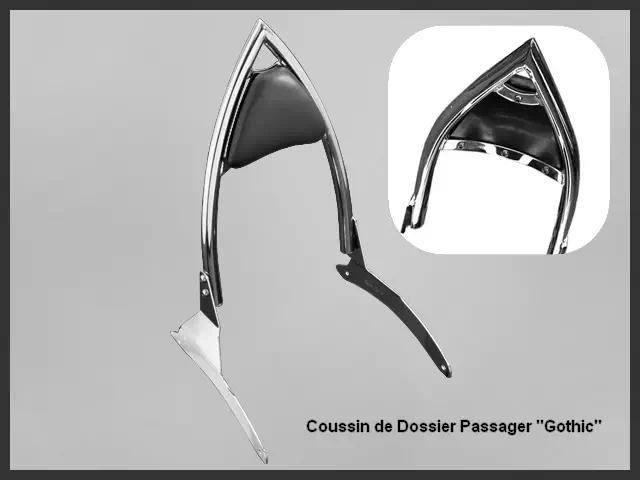 Description : Dosseret Arch Custom Yamaha XV 1900 A Midnight Star en Tube Rond forme Arch Gothic Chrome - Sissybar et Supports Latéraux en Acier Chromé de Haute Qualité - Hauteur du Dossier Passager Gothic depuis le Garde-Boue : 400 mm, Porte-Bagage 267 mm Chrome ou Noir en Option. 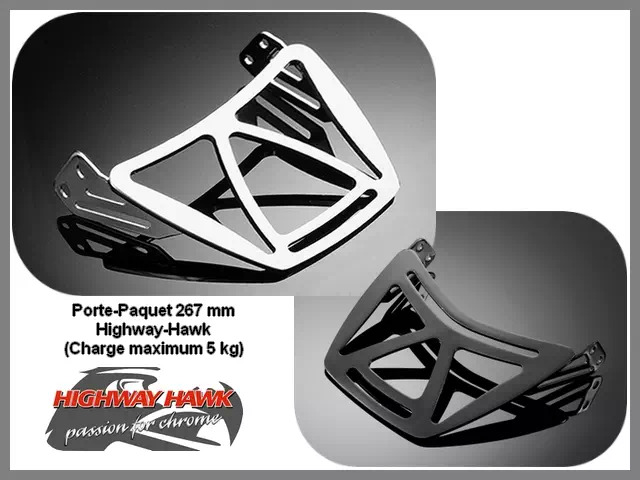 Dosseret pour Moto Japonaise Yamaha Custom XV 1900 A Midnight Star, Autres modèles pour Custom Américain (Indian), Custom Japonais (Honda, Yamaha, Suzuki, Kawasaki), Custom Européen (Triumph) et Harley-Davidson : Esprit pure Custom. 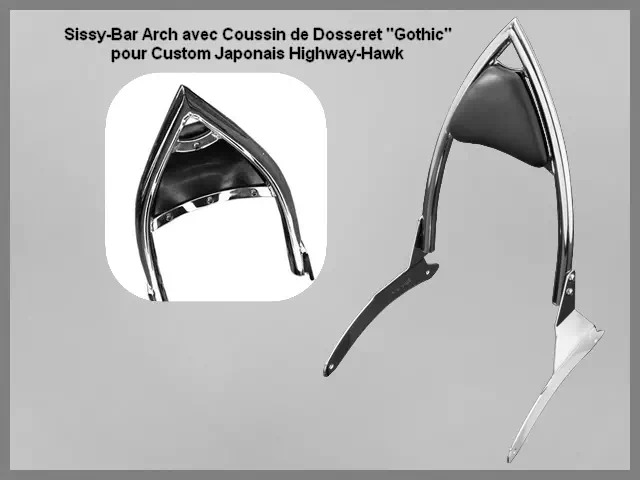 Sissybar Arch Moto Custom Yamaha XV 1900 A Midnight Star Highway-Hawk avec Dossier Passager (Coussin) Arch Gothic. 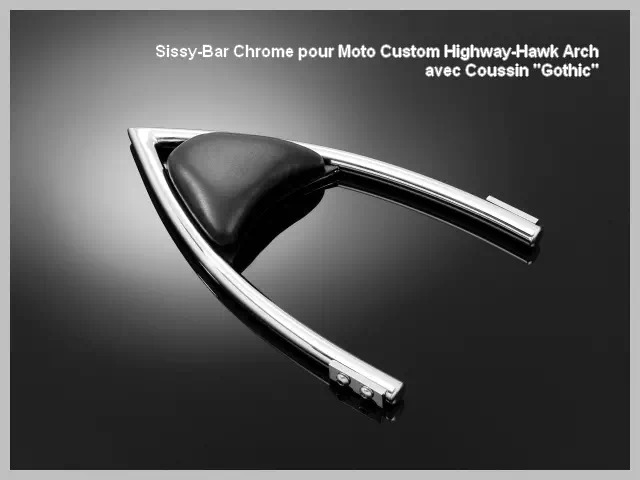 Sissybar Moto Custom Yamaha XV - Sissybar Yamaha Custom Highway-Hawk - Sissy-Bar Custom - Couleur Chrome. 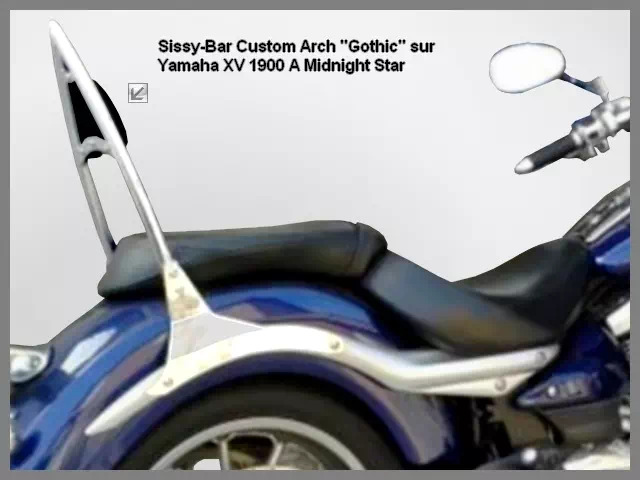 - Porte-Bagage de Sissy-Bar Arch Gothic Yamaha XV 1900 Midnight Star Couleur Chromé ou Noir en Option. 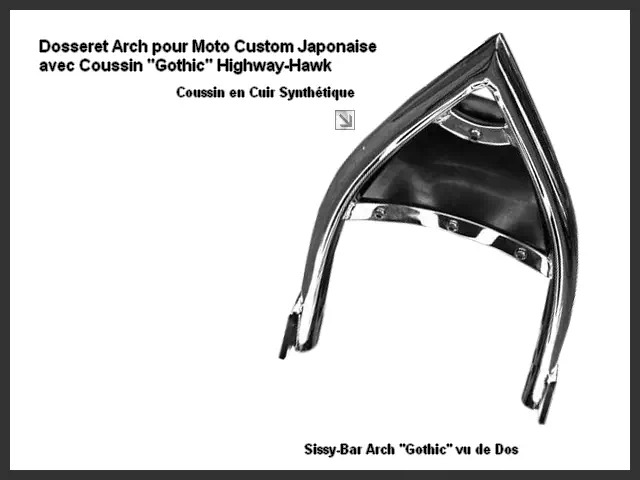 Dosseret Arch Gothic pour Custom Japonais Yamaha XV 1900 A Midnight Star - Autres modèles disponibles pour : Harley-Davidson - Honda - Yamaha - Suzuki - Kawasaki - Triumph - Indian, Esprit pure Custom. 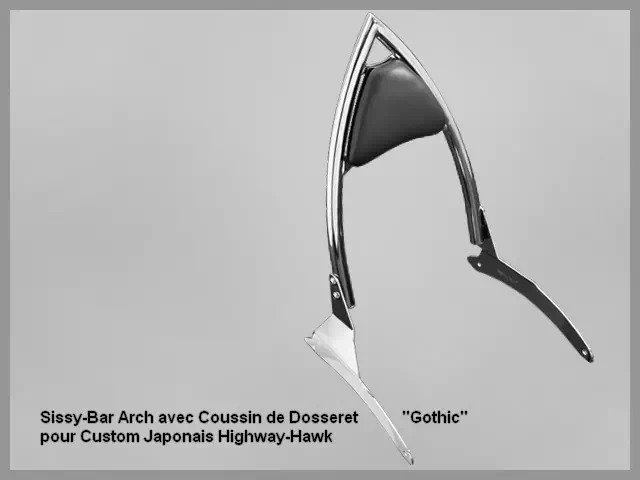 Offrez-vous le look "Gothic Biker Arch Rider" avec ce Dosseret Passager Arch Gothic pour Yamaha XV 1900 A Midnight Star. 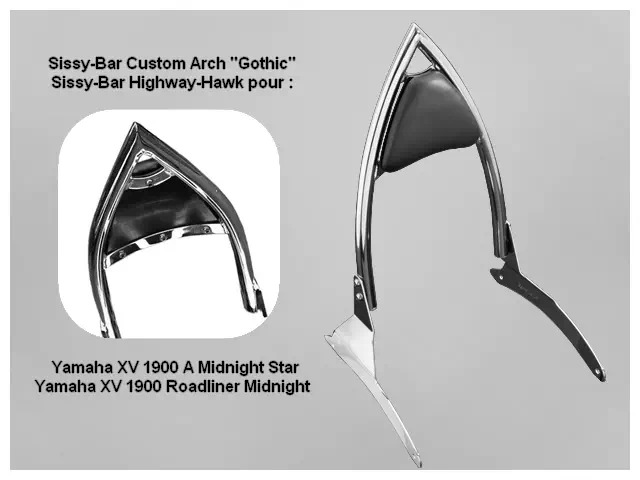 Highway-Hawk : une marque de référence pour votre Sissy-Bar Yamaha XV 1900 A Midnight Star. 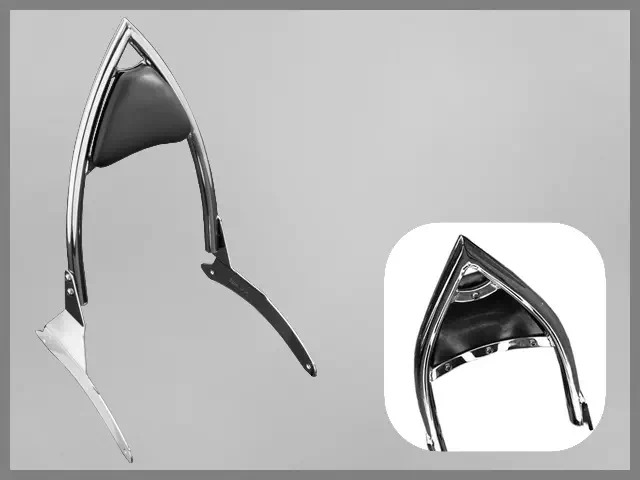 Moto Custom Yamaha XV 1900 A Midnight Star, Accessoire Confort Pilote et Passager de Yamaha Custom, Big-Bike, Cruiser, Basique, Bobber, Bagger, Chopper, Café-Racer, Etc. Motocyclette Yamaha Custom XV 1900 A Midnight Star : Pensez à vérifier l'Emplacement de la Plaque Immatriculation (si Support de Plaque au dessus du Feu Arrière) pour la pose du Porte-Bagage "Tech Glide" 280 mm x 250 mm (environ), Autres Modèles pour : Custom Japonais - Custom Européen - Custom Américain et Harley-Davidson. Yamaha XV 1900 A Midnight Star, Yamaha XV 1900 Roadliner Midnight/S.